How good is the music? Right off you notice how well structured the songs are. Regardless if the songs are shorter like the catchy “Broken” (which comes with a sax solo!) or epic like “A New Beginning,” the transitions are truly flawless. There are plenty of riffs, movements and of course solos. Keyboardist/composer Chrism is a master and guitarist Nicholas Pulkkinen is equal to the task of keeping up with him. So what are the issues? While vocalist Niklas Broman can sing, but his range isn’t enough for what the melodies call for. He has a gritty voice which works best in his mid range. Unfortunately, he really strains when he goes into his upper register. And this tends to happen on each song because that’s what’s needed. He is a good singer but I would prefer a great singer to fit the great musicians in Simulacrum. If you’ve read my previous post on vocalists, you know that I hate when bands sell themselves short with a decent vocalist. Broman can sing but I am not convinced he is a prog metal vocalist. 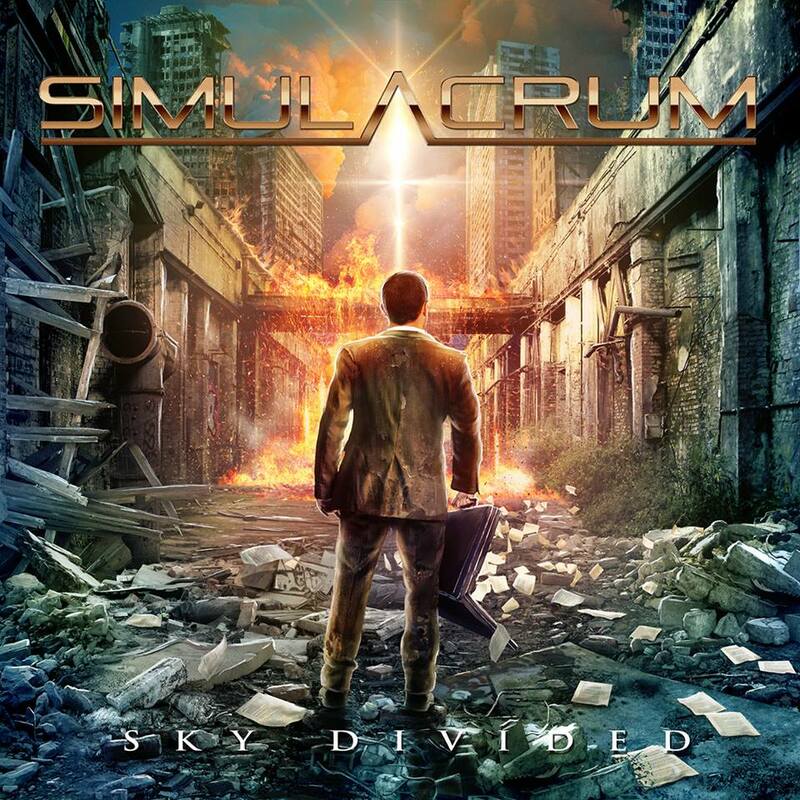 Musically, Simulacrum are nothing short of incredible. If you are fine with a good vocalist and a great band, “Sky Divided” is an album you will enjoy. This entry was posted in power metal, progressive metal, symphonic metal and tagged music review. Bookmark the permalink.